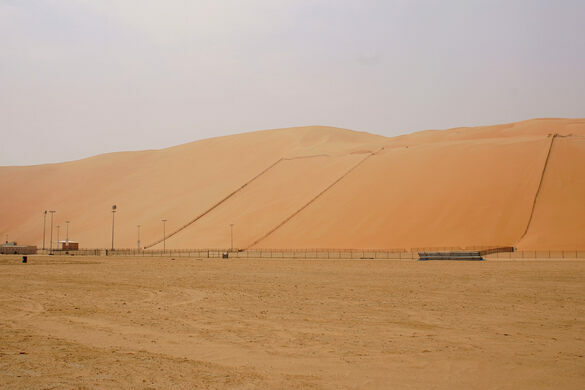 Located about 155 miles from Abu Dhabi in the south central portion of the Arabian desert is the Moreeb Dune, also dubbed the “Scary Mountain.” The locals gave the huge sand hill its nickname because of the steep slope that makes it difficult to climb. It’s the largest sand hill in the country, and one of the largest in the world. Moreeb stands at a staggering 5,250 feet long, 984 feet high, and has a 50 degree slope. 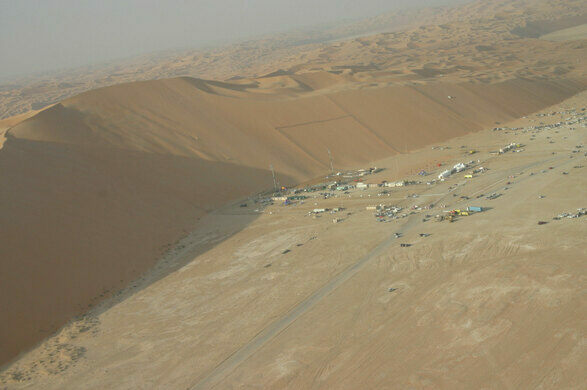 This steep incline makes the area perfect for the organized dune races that occur throughout the year. It’s also the home of a massive hill climbing competition every February. A cultural complex at the base hosts events and is a popular destination, even among those who don’t plan to actually make the trek up to the top of the dune. Visitors are welcome to try to climb Moreeb, but it is not an easy task. The view from the sandy summit is well worth the exertion. Patrons have also been known to sled down the dune once reaching the top. Good shoes and plenty of water and determination are needed for those up to the challenge.